One of the client’s primary objectives was to appear trustworthy to their visitors. 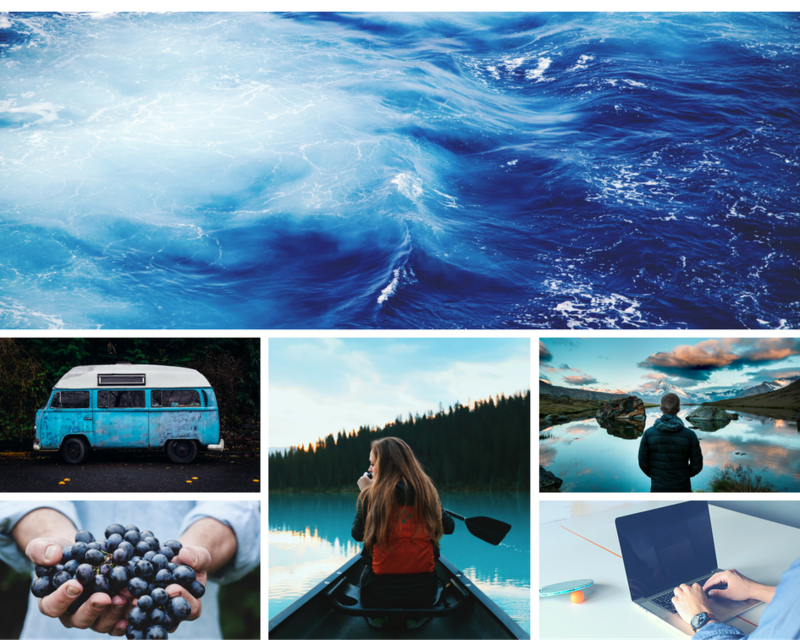 With the psychology of color and how it affects a brand in mind, I chose blue as my primary color because it represents trustworthiness. The other colors in the palette are complimentary and analogous colors which are accents. The color palette was generated through Adobe Kuler. The two main fonts chosen for this project is a Serif/Sans Serif combination but the process was very difficult. After deliberating on other combinations, the final result fit the client’s brand message and voice properly. 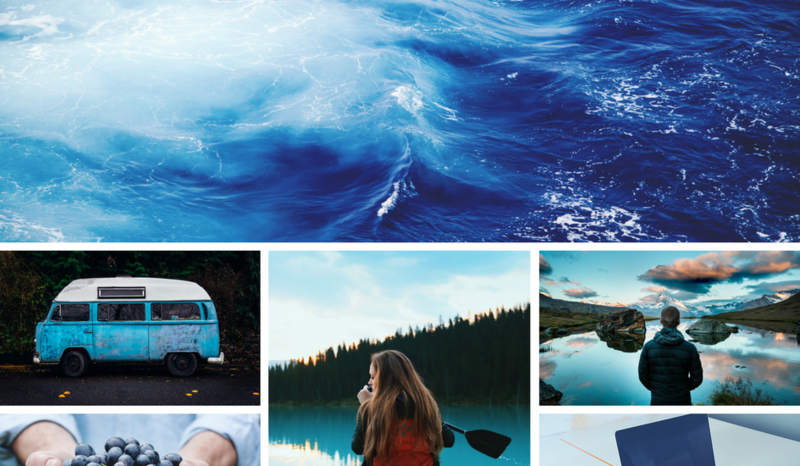 The images chosen for the mood board were stock images from Canva.com’s image library. With BLUE hues representing trustworthiness in mind, each image represents something about the client and their voice. Blue Ocean represents boundless trustworthy. Blue car represents the type of charity. Grapes in hands represents GIVING. Two individuals on and by the water starring off into the horizon represents peace, tranquility and harmony. And the tech image represents the nature of the project; a search engine optimized website.